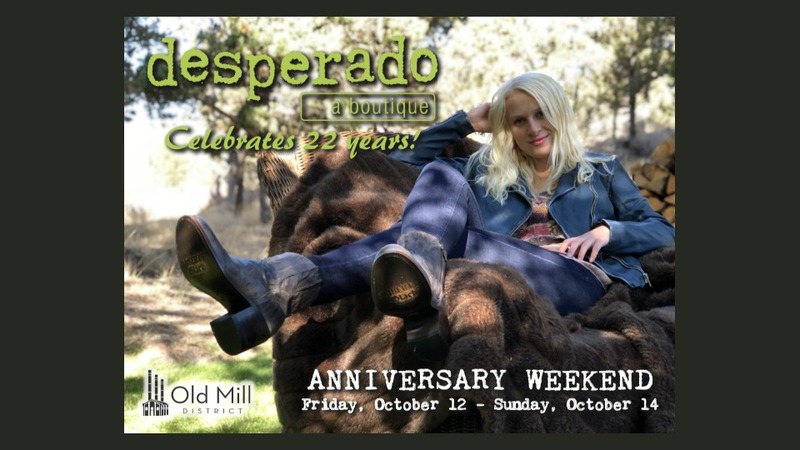 Desperado Boutique in the Old Mill District is celebrating 22 years of serving Oregon! Please join us for a weekend of festivities kicking off this Friday, October 12 with live music by Olivia Harms at 5:00 p.m. and the Sleepless Truckers at 6:00 p.m.
Plus, Trunk Shows featuring Liberty Black Boots and Jewelry by Samkas Friday – Sunday. There will be libations, fun, and fabulous fashion all weekend long!